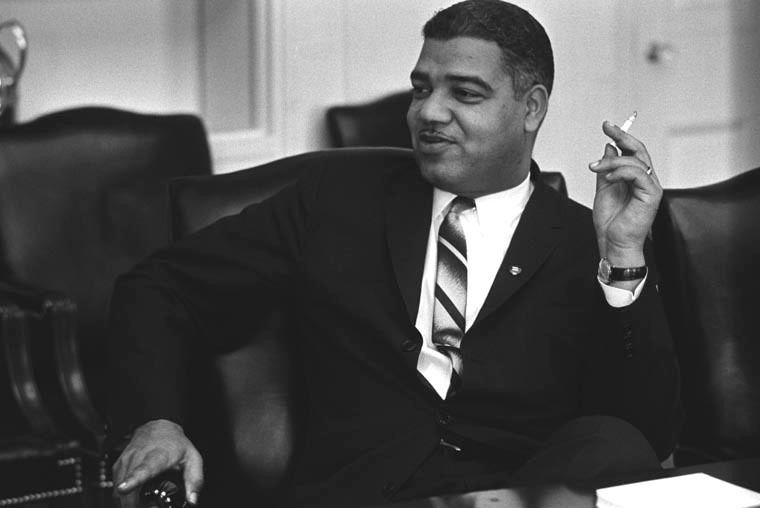 Whitney Young was an influential figure in the civil rights movement whose talents and achievements are rarely recognized today. Young worked closely with the white elite, and used his connections to improve education, employment, housing, and the general welfare of African-Americans. “The Powerbroker,” which was presented Feb. 7, in Bentley 207 told his story. The theater was far from crowded, but those who attended listened quietly to the movie, and responded respectfully to the questions afterwards, many reflecting on the fact that Whitney Young was not a name that was heard during their education. Even so, many said they believed that Vermont schools do a good job bringing up the issues and covering the struggles that occurred during the civil rights movement. “I think it’s incredible that we haven’t -that I haven’t- heard of him,” reported an audience member. “I know a lot of people from talking about the film didn’t know who he was.” King, the audience member went on to say, was the name always heard in association with the civil rights movement. Others found interest in Young’s tactics and approach to the issues at hand. Reed noted that many of our opinions about the civil rights movement seem to be based on stereotypes and the culture in our society. He explained that the movement was much bigger than how it is presented in schools, whether we’ve heard of each important figure or not. Even small states like Vermont, explained Reed, have meaningful ties to the struggle for civil rights that people may not know of, such as the fact the first African-American to graduate from college in the US graduated from Vermont’s Middlebury College. That same graduate then became the first African-American to be elected into the Vermont legislature. Whitney Young was only one of many people in the history of the United States to make a difference in the way we live, and he practically stood alone in his mission. According to Reed, as long as those who are in power hear what an advocate has to say, anyone can make a difference. “You can’t speak Greek if the powers-that-be speak Latin,” said Reed. “The Powerbroker” was the second event of four being hosted at JSC in observance of Black History Month this February. The first event, a talk by Jerry Mitchell, an investigative reporter who convinced authorities to reopen civil rights era murder cases, took place on Feb. 4, and followed by “Charly and Margaux” Feb. 18, and “The Secret Life of Bees” Feb. 20.